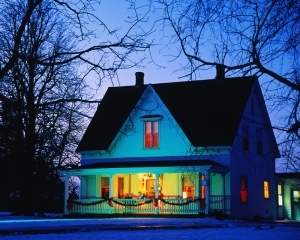 This time of year is the time of year that you should be addressing some critical plumbing issues. The fall is a great time of year, the weather is cooling down and the holidays are right around the corner however the cooler temps may not mean great things for your plumbing unless you take some steps. There are a few things that every property owner should be doing every year around this time to ensure that there are not any plumbing issues that they should be dealing with before the winter arrives. Take a look at the list below to see what you may be missing. Most people never look at their water heater until there is an issue with it. The colder temperatures mean that there will be a higher demand for hot water. It is a good idea to check out your water heater to ensure that it is running properly heating correctly and that there are no leaks. Check the temperature setting and the valves. Have a professional inspection done of your drains. Having your drains inspected and cleaned out can save you some huge headaches down the road. The last thing you want for the holidays is a clogged drain-especially if it is your sewer drain. Do a spot check on all of your pipes. Look for drips, wet spots and leaks. It is far better to check now and have the repairs done than it is to find that the pipe has burst in the middle of a holiday meal. Everyone has done it at one time or another, the faucet drips a little if you turn it this way or that way. In other words the issue is ignored. It will eventually get worse and will get to the point no matter which way you twist or turn it, the drip will not stop. Now is the time to replace the fixtures in your home that are having small issues before they become huge problems. Taking a few small steps can help you to identify any issues that you may not even be aware of and to improve the quality of the plumbing in your home. It is always far better to address any problems early on and face them head on than it is to take the “wait and see” attitude. If you have already started some of the spring cleaning projects around your home, it is important to not forget about maintaining your water heater. There are many home renovation projects that are popular during springtime including cleaning out the garage, painting and even landscaping the backyard, but in all your excitement don’t make the mistake of forgetting about your water heater. You need to give your water heater attention this spring to ensure that it lasts another season. Setting your water heater to a specific temperature is important. You want to select a temperature that makes sense, but will also help you save some money on energy costs. 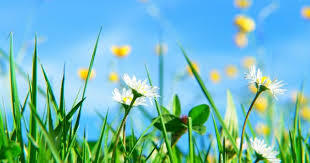 The best temperature for your water heater during the spring is 120 degrees. Always check the temperature to make sure that your water heater has not been tampered with unknowingly. This simple tip is reserved for homeowners that have a gas water heater. Just make sure that the pilot light is lit and burning blue. As long as the light is on and steady, you should not have any issues with your gas water heater at the moment. The biggest step that you need to take when maintaining your water heater is to drain your tank each spring. Over time, the sediment in your tank can accumulate, which can impact how effectively your water heater functions. If you want your water tank to run efficiently for a long period of time, it is essential that you take the time to drain the tank. 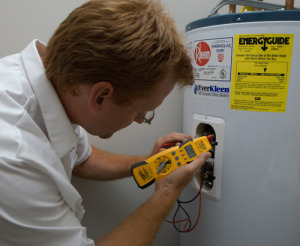 Do you have more questions involving the maintenance of your water heater? If you feel that you could be dealing with a larger issue, it might be a good idea to call in the professionals. At Knoxville Plumbing, we offer a variety of services and specialize in water heater maintenance. Keeping your water heater in good shape is important and could save you a substantial amount of money in the long run. 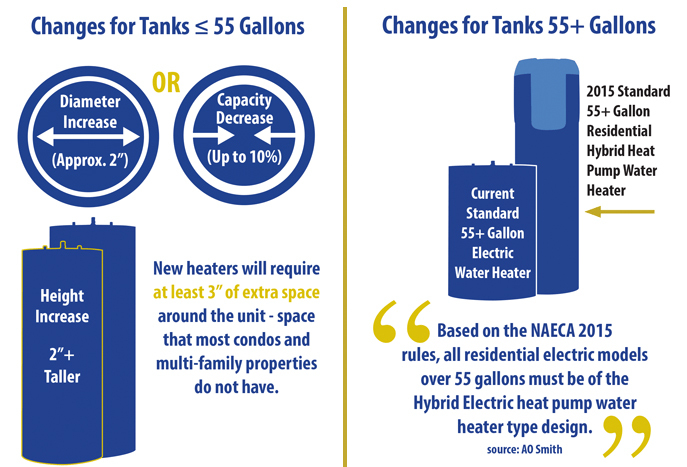 If you need a brand new water heater this spring, it is important that you are aware of the requirements that are being altered this April. Are you based in the USA or Canada? Then you’ll be interested to know that the National Appliance and Energy Conservation Act is going to be applied with much greater force as of 16th April 2015. First introduced in April 2010, this new initiative brought in by the Department of Energy is aiming at helping to improve energy efficiency across the two nations. The idea is that all residential electric, gas, oil and tankless water heaters will be expected to carry a higher Energy Factor rating. 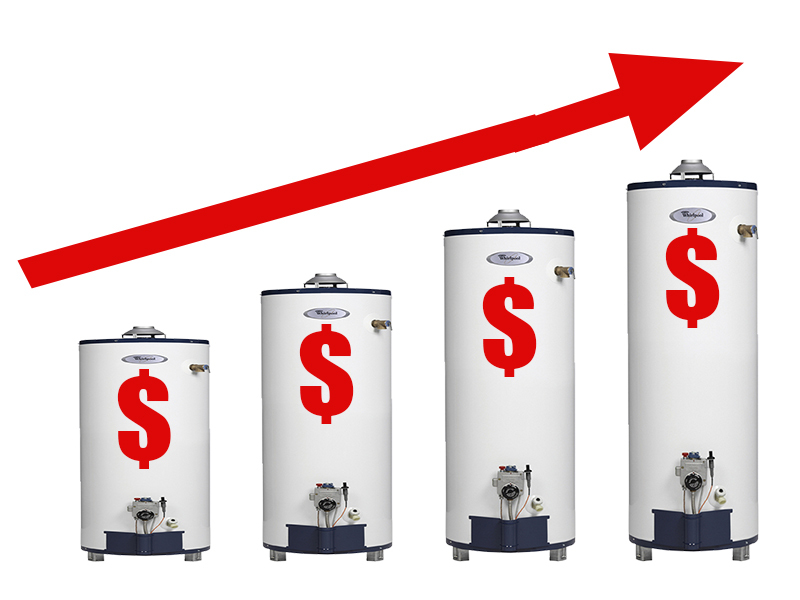 Whilst the average water heater capacity sits within the 30-40 gallon range, some households might need to look at their category of water heater. So, how will these changes actually impact your own household in the near future? Can you expect to have to make any changes? The new regulations mean that all water heater manufacturing firms are going to need to make strict changes to the layout and style of their equipment to help to benefit the overall insulation quality of the product. This means that either the diameter of the heating device will be increasing, or the capacity will be decreasing if the diameter is already sufficient. This can be as much as 10%! Capacities already dropped for many products from 40-50g to 38-47g in the recent past, but this does mean that those who exceed specific limitations might need to look at having some changes brought in to their water heating system. This is expected to affect all apartments and condominiums; the problem is that the majority of these buildings are built with a rigid structure and size for installing new water heating systems. This means that rather than increasing the diameter, the capacity will need to be decreased for most of these home types. This may cause significant problems in the future, as water usage habits will need to change or an ASSE approved mixing valve will have to be installed to try and maintain the current house usage rates. AO Smith also reported that, based on the new rulings, any residential electric models that exceed 55g will need to be of a specific type. They will need to be a Hybrid Electric heat pump design, as they are the only models of this size that provide the level of quality that’s required. One thing that will most certainly be an issue in the future is that the new regulations mean that charges will most likely be going up alongside them; it’s simply the history of the industry. Previous changes of this magnitude have seen that the pricing of the equipment you will need to buy will have increased as much as 12% in some sectors. However, it’s been reported that some NAECA compliant products will be rising to as much as 40% of their current cost – this might not be the exception, either. This is will also cause major issues with supply and demand; with everyone in a rush to get themselves NAECA compliant there could be issues with getting the right kind of water heater that you need. You’ll need to make sure that the products you do buy to replace your old system will be NAECA compliant as it’s expected that obsolete hardware will still be on the market after the change process has actually taken place. It’s expected that large sectors of the available NAECA devices will be sold to national home firms, to make sure that new homes are instantly built as compliant to the new standards; anything left over will be sold to distribution firms and consumers depending on your luck. For an electric tank based water heater, you want to be looking at creasing the dimensions or decreasing the overall capacity if you are over the 55g mark. Under this mark, though, you will no longer actually be available – if this is what you have, you need to find a new solution. Gas heaters, on the other hand, will be very expensive to bring into your home; they also require significant manpower, increasing the cost further. It’s a poor choice unless your home is tapped up with a gas water heater, so unless you already have this and have the money burn you might want to look at either of the other suggestions. The last suggestion you will have to pick from is a tankless electric water heater – this will be determined by electricity demands, though, so you might not be eligible depending on where you are based and a whole host of other factors. Realistically, your own decisions will be factored in entirely by what you can afford. To make sure that homes are meeting the rulings effectively, you will able to choose a gas, ankles or hybrid heat pump water heater as well as the options above. As you might expect, the gas solution suffers from the same problems as above; if you need to install both, it will be simply be far too expensive. It would really be a poor financial decision unless you have no financial worries to make this decision, as the work required is simply too much. The best option that most are finding is to go with a hybrid option instead; they are efficient at dealing with the energy in the first place, and can typically hit the energy ratings that you will need to be complying with standards. The heat pumps will work as a method to transfer the heat from one part of the home to the next, ensuring that your home will constantly stay warm and comfortable. They also retain a high level of efficiency in comparison to some of the other options, and might be the right pick for you personally. Additionally, they tend to come with a 12-year warranty which can make them extremely effective should you need to get any problems corrected; this is roughly double the warranty of any other competitor. However, the units themselves are fairly large so you need to make sure you’ve got enough room to actually install the system in the first place. Whilst the choice of what system you buy is entirely up to you, we personally recommend the Rheem Prestige Series of hybrids. Not only do they produce the right level of EF level needed, but they are extremely simple to get setup and are a long-term budget solution that will keep you more than benefiting from the change for the long-term. However, they are relatively large in size and can cause mild space concerns; make sure you speak with an expert before going ahead and making the purchase! So, now that you know what April will hold for you moving forward, what should you actually be thinking of doing? What’s the easiest way out for you? Lastly, you might want to just wait it out; if you wait it out, you’ll see the best equipment coming out and seeing what is available on the market for you at the moment. As soon as the date passes, though, you no longer can choose to upgrade to a lower-rating system and get the extra six years to prepare; this can make the decision a little bit more complicated for you! Whatever you choose to do, the options are open to you; the important thing to do is to recognize this situation, though, and start preparing for it right away. Letting things sit and fester won’t get you anywhere and will probably leave you with a bit of a problem later on down the line. As Knoxville heads into the winter months, family gatherings and holiday celebrations are just around the corner. Knoxville Plumbing would like to offer you some tips to protect your home from cold snaps and freezing temperatures so that you can enjoy the season’s festivities without worrying about plumbing emergencies. Here are a few tips for Knoxville residents to consider as we head into the winter months. Family gatherings and holiday parties mean extra guests and extra use of faucets and toilets that can put a strain on your home’s plumbing. This also means more water consumption overall, but you don’t have to waste valuable money and water over the holiday seasons. Consider replacing old fixtures with high efficiency options. Newer fixtures work exactly the same as your old ones did but will be more effective at saving water because they actually consume less when used. Whether your home has a newer tankless water heater or you use a standard model it’s important that you get your water heater checked every couple of years. Most traditional tanks are meant to last a few years, but without a good flushing of the system, sediment can build up within the tank over time and decrease performance. Everyone should have their water heater inspected otherwise, you could be left without a working system when you need it to work the most. For an inspection, call the best plumber Knoxville has to offer. Knoxville Plumbing can check your tank and make sure it is functioning at its best possible performance level. Knoxville Plumbing has a team of trained technicians that can flush out your tank and have it running smoothly without debris so that the increased use of hot water during the holidays won’t wear out your tank. It can be tempting to bundle up during the cold season and not turn on your home’s thermostat unless you absolutely have to. However, if your home’s internal temperature reaches 55 degrees or less your pipes could easily freeze. It is important to keep circulating warm air throughout the house every now and again to keep pipes from freezing. It is also important to open cabinets under sinks and faucets and near exterior walls so that pipes have a better chance of staying warm all winter long and preventing costly water damage from pipes rupturing. For a Full Winter Guide, click here to download. How is My New Tankless Water Heater Different From My Old Tank Water Heater? You have made a wise choice by purchasing a tankless water heater. Your old tank water heater was probably located far away from where you use hot water, and you had to run the hot water for quite a while before any hot water came out the faucet. That was wasted water, just poured down the drain. Your tankless water heater are designed to heat only the water you use, and may be a whole house unit or one designed to be located right where you need hot water. Most homes use either a gas or electric tank water heater holding between 30 to 60 gallons of water. Even with good insulation around the tank, the water begins to cool, even if you haven’t used any hot water, and the gas burner or electric element will turn on to reheat that unused water, just because it got cool. When all the cool water is back up to the proper temperature, the heater or element will turn off until needed again, in an hour or so. This goes on all day and night, even when you are on a two-week vacation. As you can see, you not only waste the water going down the drain while waiting for the hot water to arrive at your faucet, you have wasted all the energy to heat and reheat the water between your uses. A point of use tankless water heater is located right where the hot water is needed, in the bath, kitchen, or laundry. The tankless unit is usually electric power, but outside units may be powered by natural gas. When looking at tankless water heaters it important to include all the faucets that will be using the heater so it may be sized properly. Even though your faucet or showerhead flows about two gallons of water a minute, the tankless unit does not need to heat two gallons right away. It only needs to heat a few seconds of water flow to begin, and then, be able to heat two gallons every minute after that. When you quit using hot water, the unit shuts off, and when off, no power is used. When choosing a tankless water heater in Knoxville or just a tank type water heater in Knoxville, and looking for a Knoxville Plumber, we would encourage you to give us a call today! A water heater is a much needed appliance. It is difficult to do without a water heater and thus if there are problems, then the days without the heater can be quite troublesome and painstaking. While a water heater is a sturdy device and can perform regularly without much tantrums or problems, it is still an appliance at the end of the day and it will have some problems from time to time. 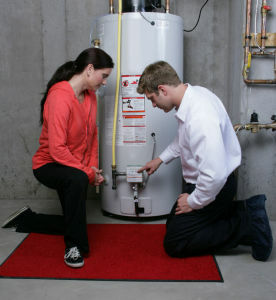 If you have a new water heater then you have your warranty and most common problems are taken care of. But if you have an old water heater, then not only would you have to brace for more problems but you will also have to attend to those problems without any warranty’s help. One of the most common problems with water heaters is leaks. Water heaters can have leaks, regardless of their status of new or old. There are many reasons why your water heater may be leaking. The most common reason for leaks in a water heater is a malfunctioning drain valve. If the drain valve in the water heater is loose or not fully fitted into the heater, if it becomes loose due to the water pressure, if it is too tightened which has caused cracks to develop or some fissures to form, then water will seep through this type of valves. You need to check the valves and tighten them if they are loose. But the valves should not be too tightened that contributes to an abnormality. Absolutely unusable valves need to be replaced. Ideally, you should replace the drain valves of very old water heaters. Another common reason for your water heater leaking is an excessive pressure inside the unit. Every water heater has a capacity, a certain volume of water it can heat in a certain period of time. This capacity is related to the pressure. Also, the pressure has a correlation with the temperature that you have set on the thermostat. If you set the temperature much higher than what the water heater can take and if you are not draining out the hot water, allowing cold water to flow in to the heater, then the pressure can build up inside which will force the water to gush out. In the absence of openings or vents, it will cause leaks. A similar problem can also occur if the temperature pressure relief valve is defective. Water heaters can start to leak if they are too old. General wear and tear, corrosion and rusting can cause leaks. You may find some water on the heater or beneath it due to natural condensation, which has nothing to do with leaks. 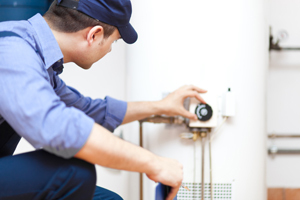 Water heaters can have various types of problems from time to time. You may have no hot water, inadequately heated water, leaky pipes, leaky water storage tanks, rust colored or metallic water, foul odors including that of rotten egg, popping or rumbling noises, whining and even a completely dead water heater that would respond to nothing that you do. If you don’t have any hot water or it is taking too long for the water in your home to heat up, then there can be many causes for the same. It may so happen that there is a combination of different causes at play. The first possible causes can be a tripped circuit breaker which will obstruct the power to run the water heater, a faulty thermostat or malfunctioning electric heating element. You may also have a blown fuse but that would not heat the water at all, instead of delaying or taking too long to heat the water. These problems can be easily attended to. You need to call in an expert and he can repair the water heater. Replacing the fuse or resetting the circuit breaker, ensuring the thermostat is working fine and attending to the heating element, including replacing it if required, will solve the problem. If any of the parts are not working and are beyond repair, then replacing them is the only remedy. Water heaters can take too long to heat the water sufficiently in your home if you have a heater that doesn’t have the capacity to heat and deliver hot water to the number of outlets you have. Water heaters have capacity and it must be apt for your home. Another very common reason for this problem is too many cold water connections or faulty plumbing installations interfere with the flow of the hot water from the heater. Such installations need to be checked and attended to. These issues can be easily attended to by an expert. But if you have purchased a water heater that doesn’t have the capacity for your home, then you either have to let go off a few connections or outlets so the water can be heated quickly enough for certain connections. That would reduce the volume of water needed to be heated and naturally increase the speed of heating. Low voltage or disruptions in the supply of power can make the process of heating the water much longer than usual. Ideally, you don’t need to have your water heater checked out if it is new. As the water heater gets old, you will come across signs that will indicate a need for some preventive maintenance or repairs. There can be problems with new water heaters and those problems will become obvious if you pay heed to the system and observe the kind of water the heater delivers. Unless there are visible or noticeable problems with new heaters, they don’t usually need preventive maintenance. Regardless of whether your water heater is new or old, here are the signs that you should be looking for. The most obvious sign that your water heater is not working properly or optimally is if you don’t get hot water out of it. In some cases, you may get hot water but it may not be hot enough as per the capacity of the heater and the settings that you have programmed the heater to. In such cases, you should call in a technician. There is another extremely obvious sign that you cannot possibly miss. If you notice water dripping out of the water heater, from any of its part, then you should obviously have the device checked out. There can be leaks due to malfunctioning valves, due to mechanical or structural problems in the system. There could also be a problem with the pipes that are connected to and from the heater. Regardless of the cause of the leaks, you should call in a plumber to have it checked out. There can be two types of problems with a water heater, one is electrical and the other is mechanical. It is necessary to hire a plumber who would be able to determine the type of problem whether it is mechanical or electrical. For instance, not having hot water from the heater could be due to a tripped circuit breaker or due to a malfunctioning pilot light, blocked connections or heavy mineral deposits or something else. If your water heater makes any noise or sound that is not ordinary, then you should have it checked out. Look out for loud cracks or not so loud popping sounds. If you have rusted water flowing out of the taps or if you find a metallic smell or taste in the water running out of the taps, then there is a possible problem of corrosion inside the water heater. If you hear banging sounds in the pipes then you should reduce the pressure in the water heater. You need not hire a technician for this purpose but if you want to be sure, then expert intervention is more recommendable. Should I Get My Water Heater Checked More Often? 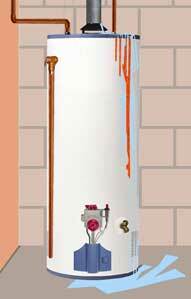 A leaking hot water heater is one of the more common plumbing problems you may have. Depending on the age of the tank, you may have a slow drip, or an unending stream of water. The first is an irritation, and a warning. The second is an emergency. The tank of the water heater is under the pressure of the city supply, usually from 30 to 90 pounds per square inch, or P.S.I. That means that the water main is supplying a constant flow of pressurized water to replace any that leaks out, and you will soon have a flooded, basement, garage, or laundry room. When you purchase a new water heater, you should receive a warrantee for about 10 years. It may be more, or maybe less. Usually the warrantee is placed on top of the unit or tacked to the wall, next to it. Have your plumber who installs your water heater show you what the parts are and how they work. If your unit is gas fired, have him show you how to light the pilot if the gas ever is shut off. If it is electric, have him show you the circuit- breakers that control the power, and make sure they are marked correctly. Looking at the top of the unit, you will see two pipes coming straight out of the top. One is the cold-water inlet, being fed from the water main. There should be a shutoff valve between the tank and the house plumbing, to shut off the inlet water in case of a leak. The other pipe is the hot water outlet, going to the rest of the house. There will usually be a safety blow off valve to release the pressure if steam builds up inside the tank. This valve is usually bronze and often has a pipe pointing down so the steam would not burn your face. Now that you know what is there, you can periodically check your unit by looking for leaks, rust, or corrosion where the pipes are screwed together, and possibly stains on the floor. If you do not feel comfortable doing the check yourself, have a plumber check it every several years. http://knoxvilleplumbingllc.com/wp-content/uploads/2014/07/Water-Heater-Performance.jpg 411 500 Robert Keith http://knoxvilleplumbingllc.com/wp-content/uploads/2016/09/Website-Logo-KNoxville-Plumbing-2.png Robert Keith2014-01-05 14:00:542014-09-05 14:27:03Should I Get My Water Heater Checked More Often?